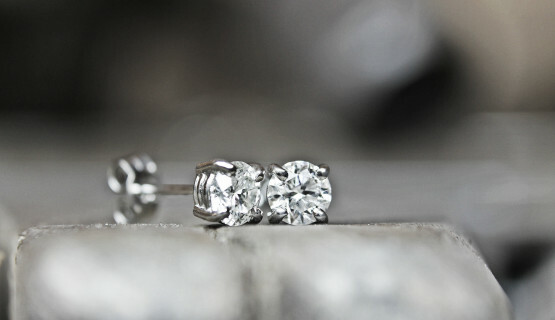 Simple four claw diamond stud earrings. 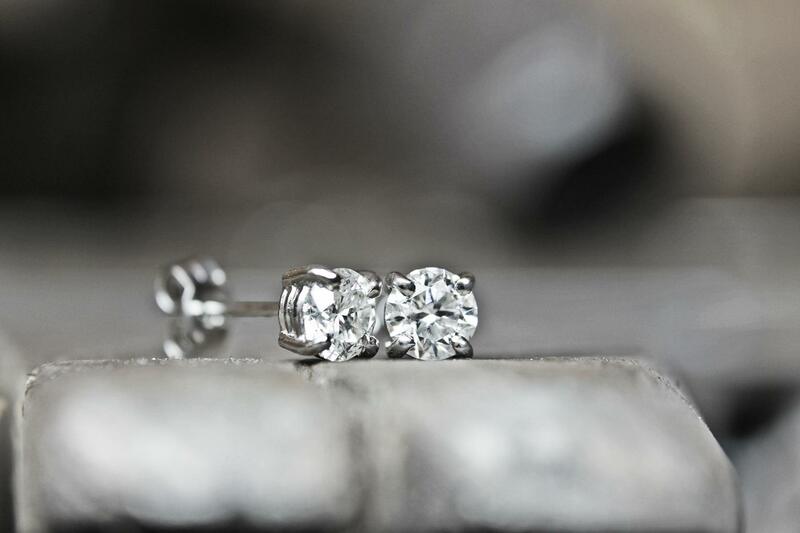 This style earring is a classic look four-claw stud. They can be made in all types of precious metal. 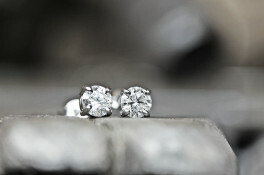 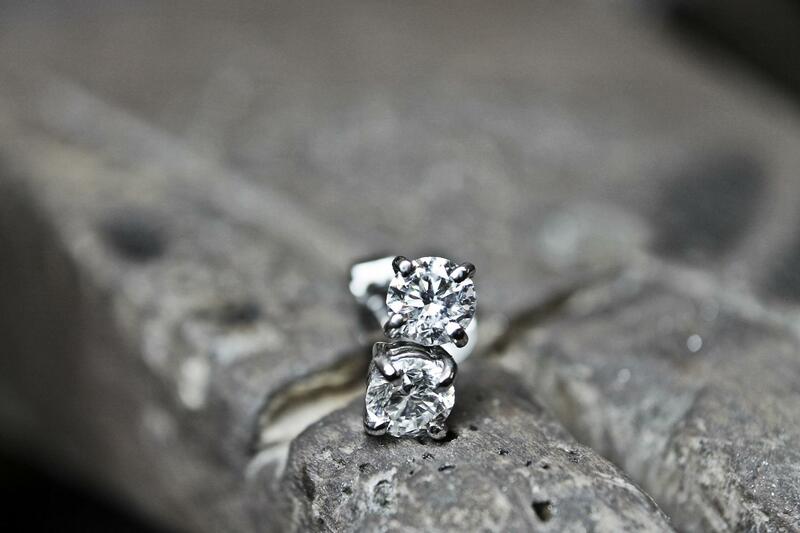 Pictured are 5mm diameter diamonds total carat weight of the pair 1.00ct other size stones are available.